ROMAN REPUBLIC. C. Cassius Longinus and L. Cornelius Lentulus. 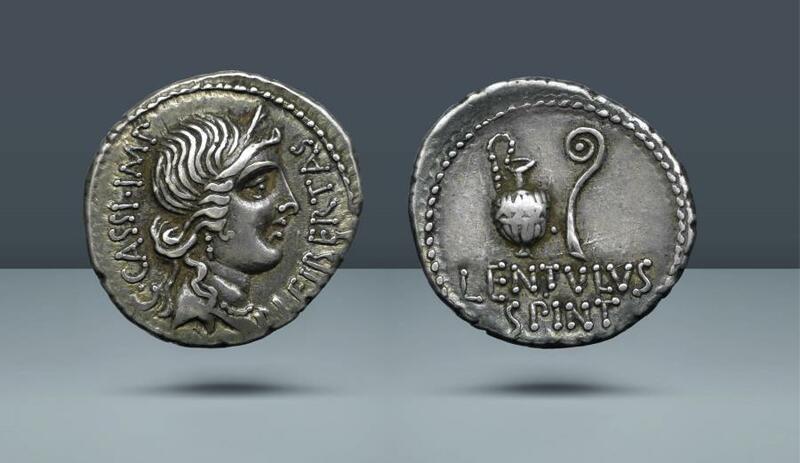 Military mint traveling with the army of Brutus and Cassius, c. 43 BC. AR Denarius, 3.78g (19mm, 7h). C CASSI IMP LEIBERTAS Diademed and veiled head of Libertas to right, wearing earring and necklace of pearls / LENTVLVS / SPINT Jug and lituus.